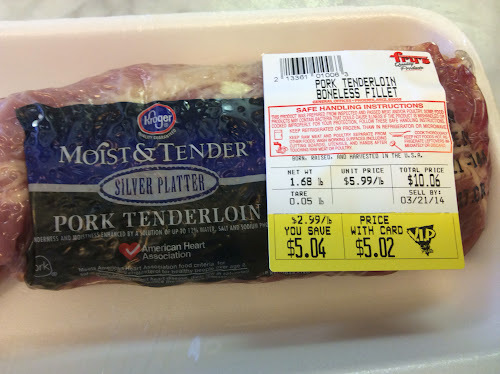 I buy all our meat when it's on sale, and this shopping week (Wed-Tues) I found a beautiful, pork tenderloin calling my name! I love fresh pork on the grill if grilled properly, it comes off the grill juicy and succulent! 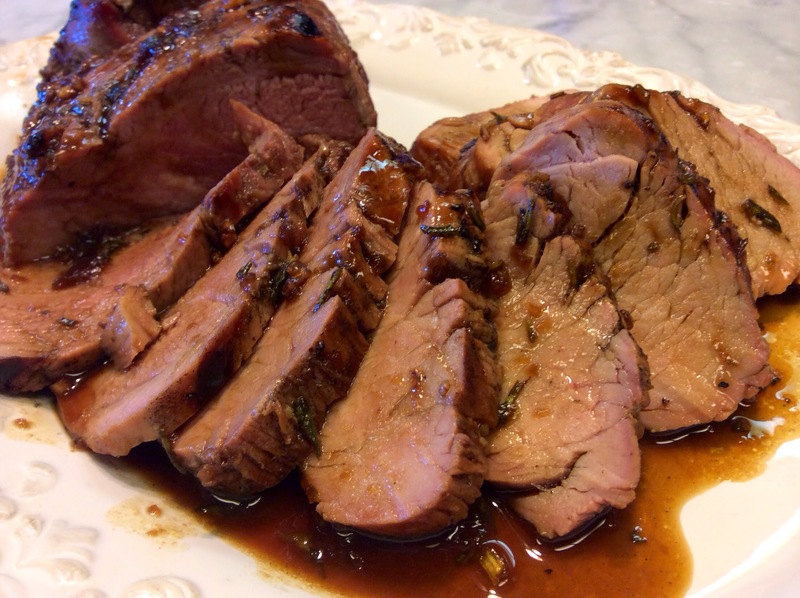 Taking the time (2 hours) to marinate your pork tenderloin will give you 5-star results! 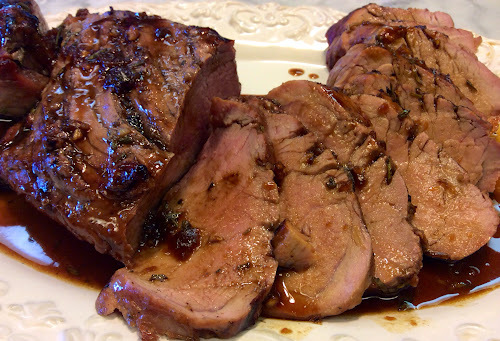 This is my favorite way to prepare and eat pork tenderloin! I hope you'll give it a try . . . and please let me know how you liked it! With the current prices of meat, this is a great deal for the "fillet mignon" of pork! This Marinated Grilled Pork Tenderloin has such a succulent, melt-in-your-mouth-flavor . . . It should be illegal! MARINATED GRILLED PORK TENDERLOIN ~ 3 lbs of pork tenderloins will serve 4, with leftovers for barbequed tenderloin sandwiches topped with my creamy coleslaw . . . YUM! Start with 2 - 1 1/2 pound boneless pork tenderloins. Prep your tenderloins by removing all fat and silver skin (slide a sharp knife just under the silver skin to remove. 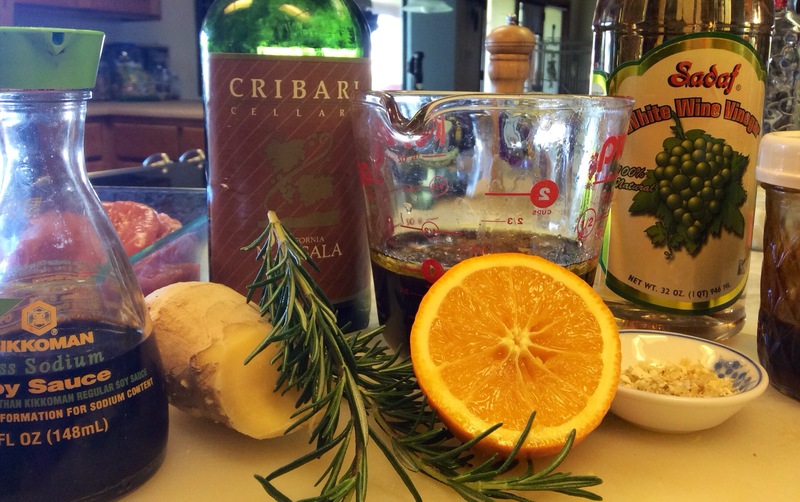 Place all the prepared marinade ingredients in a shallow pan or, gallon freezer bag; mix well. Add prepped tenderloins to prepared marinade, allow to marinate at room temp for 2 hours. Preheat gas grill or indoor grill top on HIGH. Brush off grill grates, and grease them with vegetable oil. Set grill burners to LOW, LOW, LOW. Grill meat turning every 5 minutes, for aprox. 20 to 22 minutes, until internal temperature reaches 165° F. / 74° C.
Meanwhile, pour Marinade into a sauce pan and simmer, uncovered for about 15 minutes, to make a Marinade Reduction to pour over your Grilled Tenderloin Slices. When tenderloin is done, place on serving platter, cover with foil, and let rest for 10 minutes. Slice meat in 1/2-inch slices, pour hot Marinade Reduction over the top. Serve with a fresh salad and crisp-tender fresh asparagus . . . And, don't forget to dip each bite into the marinade reduction . . . De-li-ci-ous! Salad greens fresh from the garden . 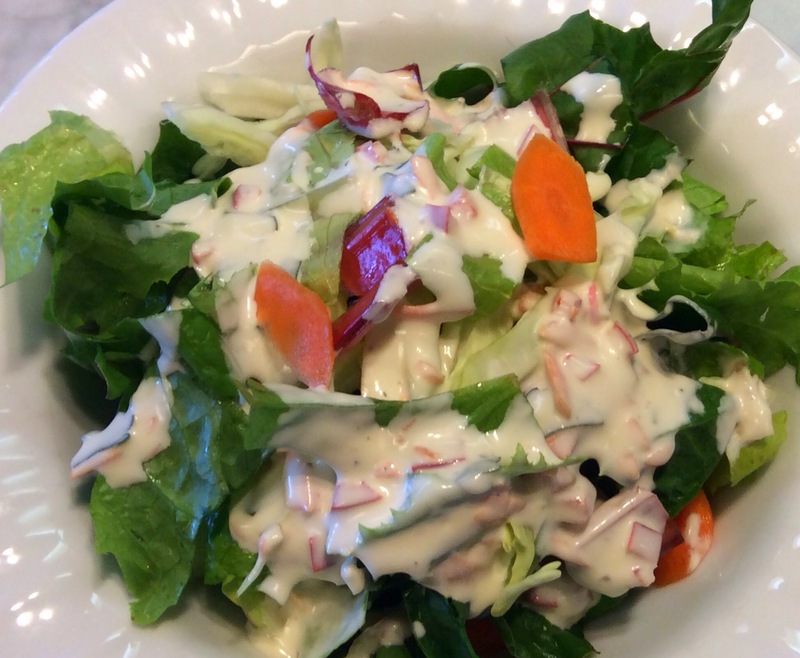 . . Swiss chard (stems included), spinach, trout romaine, French leaf lettuce, and Four Seasons Buttercrunch, homegrown carrots and homemade Red Pepper Salad Dressing! If you love prime rib, you will love this Marinated Grilled Pork Tenderloin . . . and at a fraction of the cost! So, there you have it . . . This is one of my simple, guilt-free indulgences . . . Over at Julie's!!! Perfect halved for that romantic evening alone with hubby or a special dinner for 4!